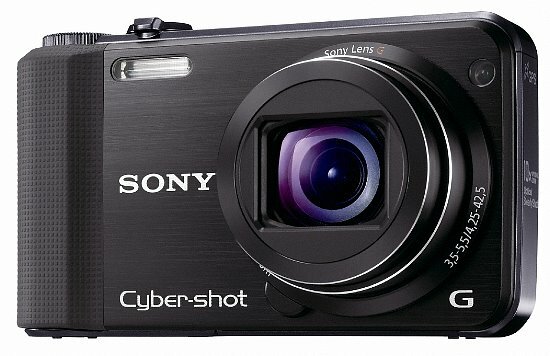 The Cyber-shot DSC-HX7V is the mid-range model in a series of five new cameras recently announced from Sony at CES. 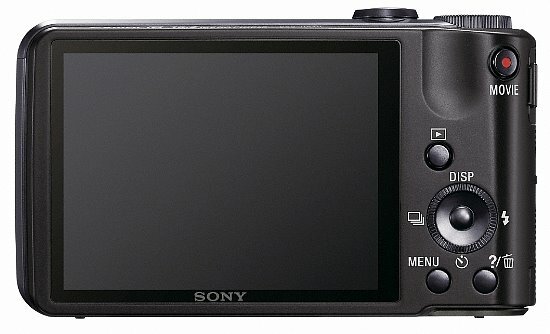 It features a Sony G-series 10x optical zoom lens, 1080/60i AVCHD video recording, a 3" LCD viewing screen, a huge 16.2 megapixel "Exmor R" back-illuminated CMOS sensor, and 3D still images / panorama capabilities. The DSC- HX7V also features a less advanced version of Sony's Backlight Correction HDR (High Dynamic Range) Mode, which takes shadows, highlights, and mid-tones from two separate photos (the more advanced version on the DSC-TX100V uses three separate photos) to create one brilliant image. The DSC-HX7V's large 16.2-megapixel "Exmor R" back-illuminated CMOS sensor helps the camera perform much better in low light situations, along with allowing the camera to capture images at up to 10fps. On top of the full 1080i (60i) HD video option, Sony includes their new Dual Rec Mode. This technology allows you to capture still images up to 3-megapixels in size while you are recording video. While the camera offers Automatic and manual exposure settings, Sony has incorporated their "In Camera Guide", which helps those who find cameras options confusing with detailed explanations of settings. The HX7V also offers Background Defocus Mode (meant to generate the shallow depth of field typical of DSLRs), and Sony's proprietary Intelligent Sweep Panorama technology (users pan the camera across a vista and the camera automatically creates a wide panorama shot). The DSC-HX7V will be available in black, white, red and brown this March (2011) for about $300 US. Visitors of Steves can visit the stores below for real-time pricing and availability. You can also find hot, soon to expire online offers on a variety of cameras and accessories at our very own Camera Deals page.